Learn how your Veterinary practice can soar above the rest. How do your clients determine the quality and value of your veterinary hospital? We would like to believe that clients judge our hospital based on the actual quality of the medical and surgical care we provide, but unfortunately, that is not the case. 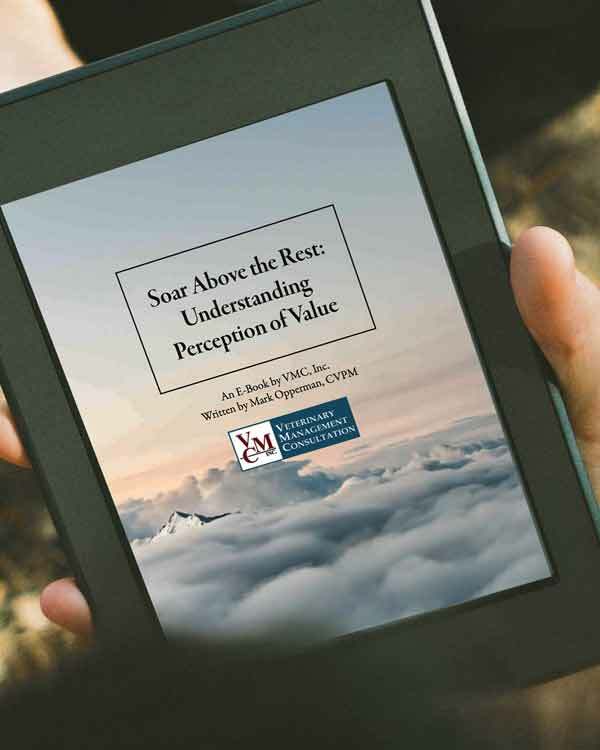 Learn how you can increase your veterinary practice's "perception of value" in our free e-book by Mark Opperman, CVPM. Thank you! Your e-book will be arriving to your inbox shortly. Please check your email and follow instructions to download. Oops! Something went wrong. Fill-in all fields to receive your free e-book.